Authors, Kai Strand & LA Dragoni: A New Book Contract! I’m beyond thrilled to announce the sale of my middle grade fantasy, A New Being, to MuseItUp Publishing! 1. First novel I ever wrote. 3. Longest novel I’ve written. 4. I have a crush on the main guy character, even though that isn’t really his purpose in the story. 5. The main girl character in the book has long brown hair and lives in Wisconsin. 7. My lizard is named after the main villain. 8. Tentatively scheduled for release mid 2013-ish. 9. Title may or may not change. 10. Book inspiration: I was anxiously awaiting the release of Order of the Phoenix when I decided to entertain myself by creating my own world. 11. First character I thought of was a molly. A mole-like creature used as a trolley-or transportation animal-in the underworld. 12. I thought of the molly in the shower. 13. I finished writing the book in less than two months. Nine years ago! 14. I cannot wait for you and your fantasy loving tweens & teens to be able to read it. As is tradition on the Saturday past her twelfth birthday, Terra learns she is a Nature’s Spirit and it is her legacy to serve in the peaceful underground city of Concord. Learning she is named in a prophecy and being threatened by the leader of the death tribe …that part breaks tradition. The Trepidus are the death janitors of the underworld, responsible for the cause and the clean up. Solitary creatures, they do their job and nothing more, but one of them, Blanco, believes they are superior beings and should take their place as head of Concord. He is organizing the creatures and leading them toward an uprising, but a prophecy says there is one person who can stop him. Terra. With Spirit of Security, Frank protecting her, Terra completes her training and discovers her Spirit talents. Together, they go on a rogue investigation in order to figure out how to defeat Blanco before he can defeat Terra. In the end it comes down to a battle of the minds. The future of Concord depends on the outcome. Will Blanco, the older, more experienced being win? Or will Terra, the young, new being earn back the peace of the city? Oh, and speaking of books, I’m halfway through my virtual book tour with World of Ink. 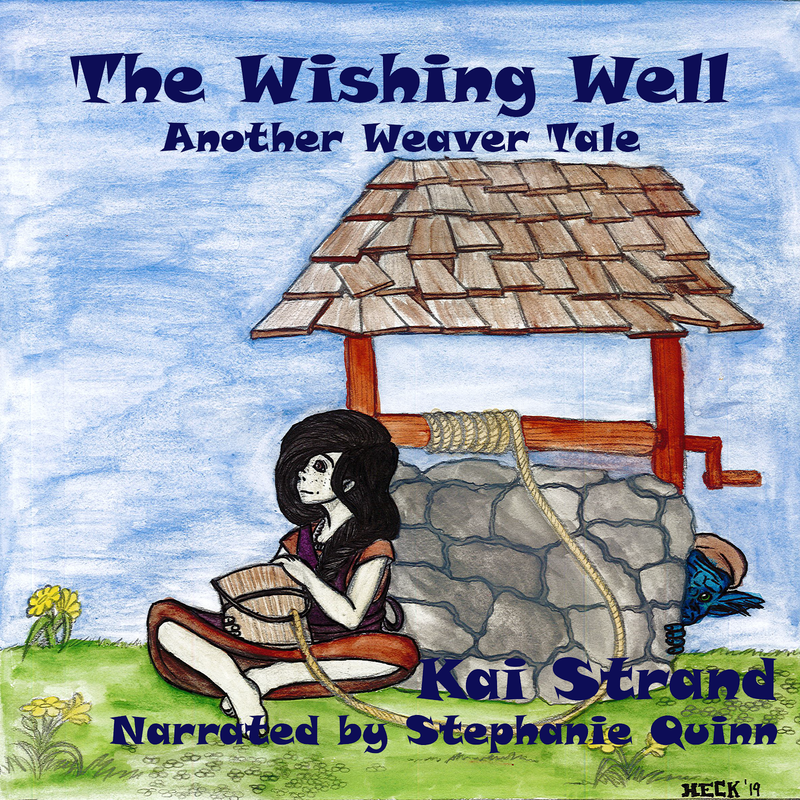 I'm touring The Wishing Well: Another Weaver Tale and Save the Lemmings. It has been SO much fun so far. If you haven’t had a chance to visit my October haunts, please do. I’ve updated my website with direct links to the posts so that you don’t have to scroll through a month’s worth of blog posts on my hosts’ sites. Though, that said, when you see something you like, feel free to browse. The host sites are chock full of great book and industry info. FYI: It’s always a good idea to leave comments on tour stops, because there is usually a blog hop going on and you could win something fun by taking a few extra seconds at each stop to say something. Congratulations, Kai! That is fabulous news. So happy for you. Come back to Book Blather any time. Thanks so much, Marilee! Really appreciate it. Good luck w/your new 12 yr old character. I'm sure you two will get along just fine! You know how excited I am for you, Kai. Looking forward to reading the published edition. And welcome to MuseItUp. They've been great to work with. Thank you, Beverly. Your help on this story has been invaluable to me. Kimberley, I love hearing that The Healing Spell took that long. Not for your sake, but that is such a wonderful, layered, emotional story. That gives me hope. I can't wait for your YA's. Here's to stick-to-it-iveness!